Silverhawk Aviation is proud to offer many options of the latest avionics instruments and packages for several aircraft manufacturer makes and models. Silverhawk Aviation is a factory authorized dealer for Garmin, Bendix King, Genesys, Avidyne, PS engineering, Appareo, and other major avionics manufacturers. There are many suite and equipment options to choose from. Based on your needs and preferences our staff will guide you seamlessly through the process. Our diversified, skilled install and repair technicians can complete minor upgrades or completely re-create your existing panel to take advantage of the latest technology our industry has to offer.With reasonable downtime, you can soon enjoy the cool features, functions, and benefits of your new panel – not to mention an entirely safer, more reliable, and more functional airplane. did you know that upgrading your citation can NET you money? The popular Garmin Suite upgrade replaces the vast majority of aging equipment which causes many typical maintenance issues. The potential for maintenance savings can become very substantial over time. We found Citation 560s in our fleet that accounted for approx. 20% of our maintenance expenses due to avionics repairs. An option to help lower the net install cost is selling the avionics from the old panel to cover a portion of the initial cost. However, the value of equipment does decrease over time as more of the fleet performs these upgrades, so it pays to act now. “A new glass display panel with all of the bells and whistles may seem like an expensive – though attractive – luxury, but it can also be a very smart financial move under the right conditions.” To learn more about how upgrading your citation can actually NET you money, click the article below. Silverhawk Aviation has performed many minor upgrades to aircrafts just like yours! 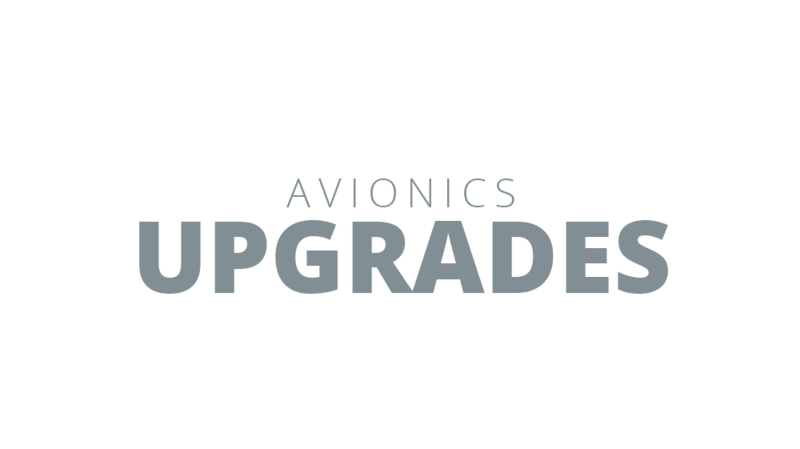 We’ve also performed several full-panel avionics upgrades equipping aircrafts such as King Airs and Citations with the latest in Garmin avionics, including: G600 PFD/MFDs, Garmin radar, remote audio panels and transponders, and touchscreen GTN 750 and 650 Nav/Coms. Want to see exactly what this could mean for your aircraft? Have one of our avionics specialists contact you today!